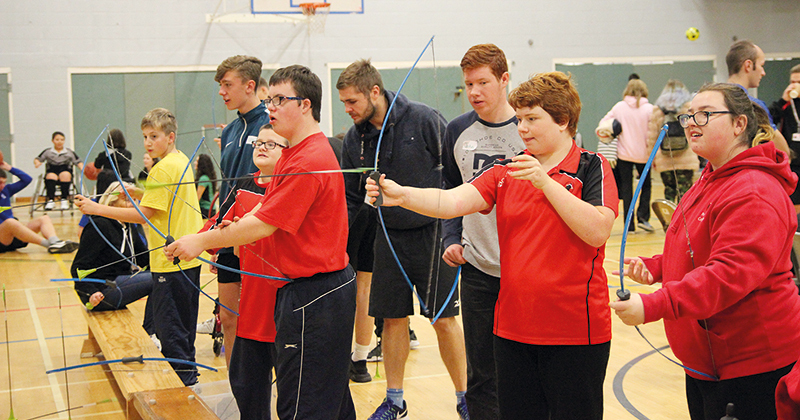 Sports students have helped children with physical, sensory and learning disabilities experience their favourite sports at the ProjectAbility festival. Hosted at Truro and Penwith College, the annual festival is the inclusive arm of the Cornwall School Games, a Youth Sport Trust initiative that gives primary and secondary school children across the region the chance to compete in a range of sporting activities throughout the year. More than 60 secondary students took part in the event, in sports including wheelchair basketball, boccia, cricket, football and archery. The college’s own sports students helped referee and oversee the running of the games.